Grima, J. Azzopardi, S.A. Martinez Villa, D. Krstic, C. Bugeja, C. Antunes Pavlidis (J. Saliba), G. Hili, J. Cefai (R. Buttigieg), S.P. Bajada (T. Vella), M. Xerri, D. Bogdanovic. Gatt, K. Borg, C. Bugeja (J. Grima), C. Debono, O. Curmi (J. Grima), L. Garcia Panesso, M. Debrincat (G. Muscat), M.M. Uzor, J.J. Sandobal Guarin, S. Muscat, B. Polo Longarela. 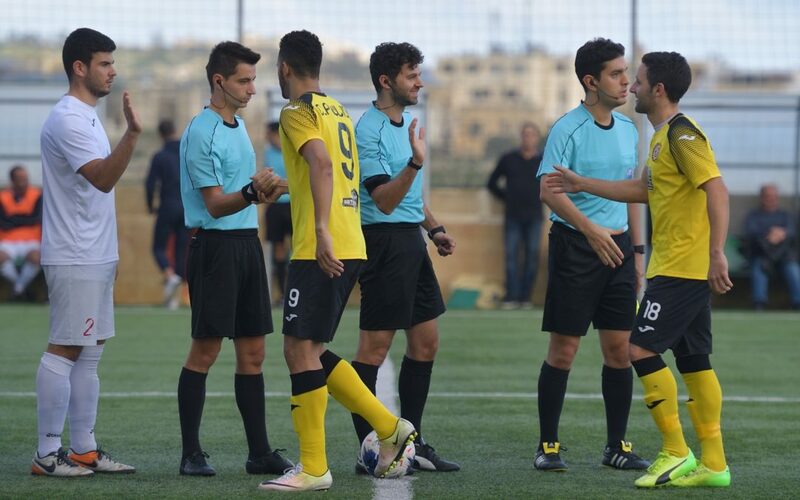 Xewkija Tigers registered the largest win so far in the championship in their match against Munxar Falcons. This was the last match from Match-Day 6 of the championship and Xewkija needed the full points at stake to retain their status as challengers particularly in view of the wins registered by the other two top teams. 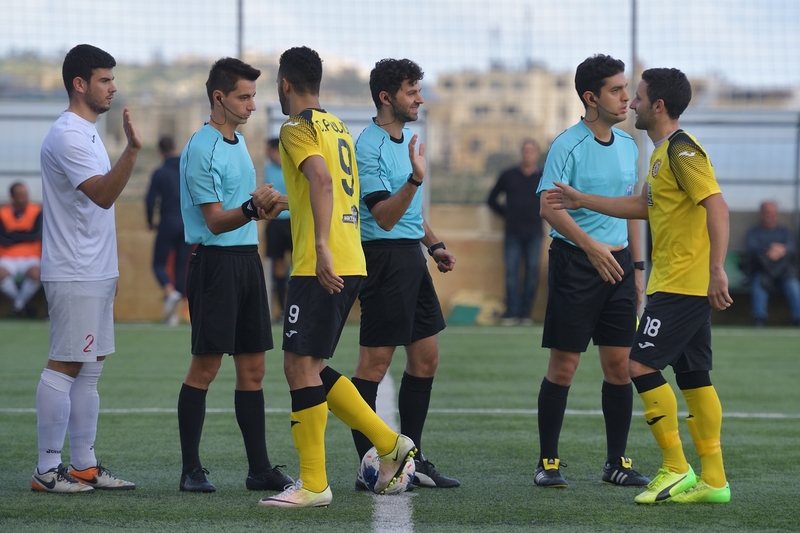 Xewkija were therefore determined to earn the win and ended up dominating over their opponents throughout the encounter. 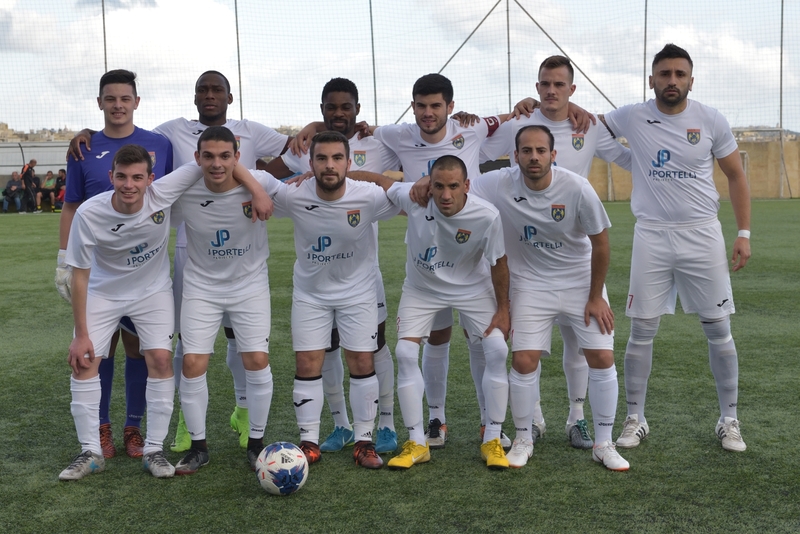 In this match Xewkija also extended their good moment of form which saw them making a recovery from a difficult start at the beginning of this season. The main protagonist in this large win was Xewkija’s striker Darko Krstic who scored five of the nine goals of the match. The Tigers pilled pressure on Munxar’s defense form the early stages of the encounter. On 14 minutes they could have opened the score but a strike by Gennaro Hili from an ideal position after receiving from Claudio Antunes was saved to a corner by goalie Liam Gatt. 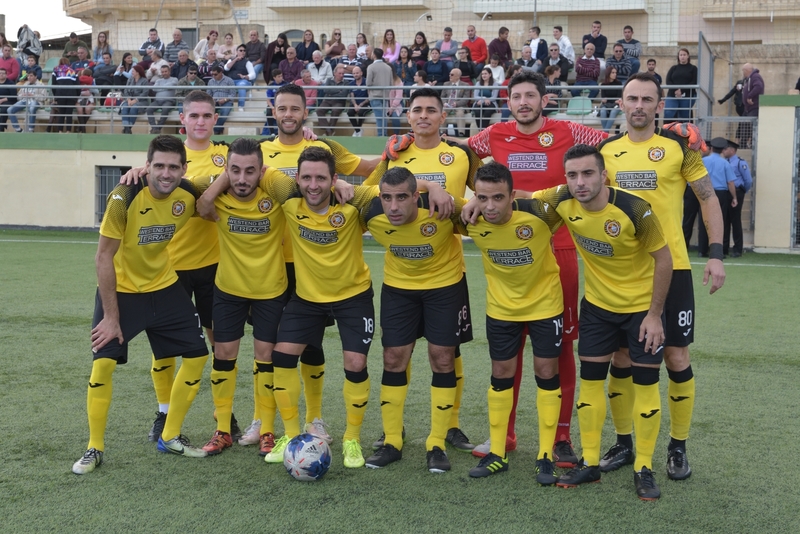 Xewkija scored their first goal three minutes later when Munxar’s goalie cleared badly a cross by Shaun Bajada and Christian Bugeja headed the ball from close distance. On 19 minutes Xewkija doubled the score when Joseph Cefai released Darko Krstic who came face to face with the goalkeeper and placed in goal with a low drive. Xewkija’s skipper Joseph Cefai went close to scoring two minutes later but his attempt following a short clearance by the defense missed the target. Joseph Cefai however made it 3-0 on 25 minutes with a fine shot from an angled position that was out of the reach of the goalkeeper. Xewkija continued to dominate the match and on 34 minutes they added another goal when Claudio Antunes passed to Darko Krstic who turned around a defender inside the area and deposited the ball into an open goal. Two minutes later Xewkija’s substitute Thomas Vella had a shot on the run that ended high and in the first minute of stoppage time an attempt by Daniel Bogdanovic directly from a corner kick hit the crossbar and from the rebound Christian Bugeja failed to hit in goal and the defense cleared the danger from the goalmouth. In the third minute of play of the second period Xewkija added another goal when Daniel Bogdanovic released Darko Krstic within Munxar’s territory and the latter netted with a low shot as soon as the goalkeeper left his position in an attempt to block the danger. Darko Krstic made it 6-0 on 53 minutes when he received the ball from Christian Bugeja in a counter break, turned around the goalkeeper outside the area and placed easily into an open goal. Munxar could have scored a consolation goal on the hour mark but a lob by Borja Polo Longarela aimed towards an open goal was cleared off the fatal line by central defender Sergio Arturo Martinez Villa. Three minutes later Xewkija were awarded a penalty for a foul by Jhon Jario Sandobal Guarin on Claudio Antunes and Daniel Bogdanovic converted form the spot kick. On 65 minutes Munxar were reduced to ten players when the referee from the Feberation of San Marino showed the red card to Borja Polo Longarela for a foul on Claudio Antunes. 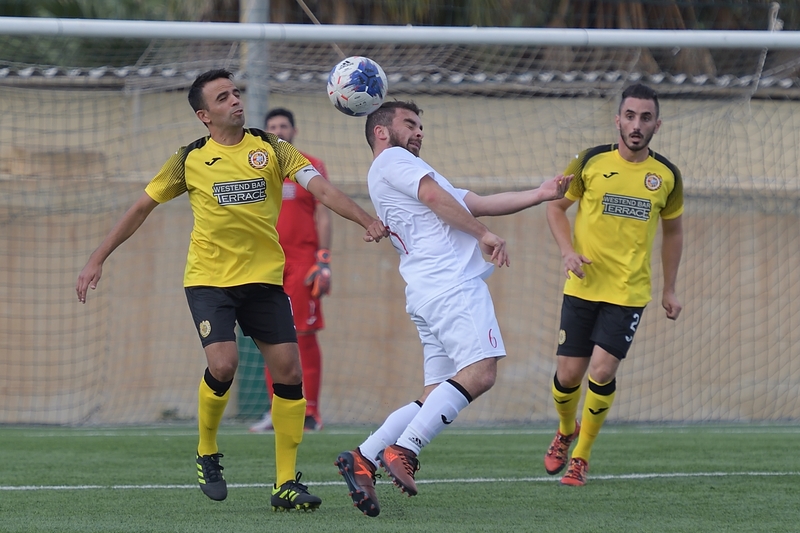 Two minutes later Xewkija’s Daniel Bogdanovic had a strike that was stopped by the crossbar and on 72 minutes the Tigers were awarded a second penalty following handling by Munxar’s substitute Gabriel Muscat and Darko Krstic scored his fifth personal goal with the shot form the spot kick. Munxar were dangerous on two separate occasions but attempts by Jhon Jario Sandobal Guarin on 76 minutes and Samwel Muscat on 81 minutes were both saved with some difficulty by goalie Mark Grima. In the following minutes Xewkija had two goals scored in separate occasion by Daniel Bogdanovic and Thomas Vella that were disallowed for offside infringements. However, Xewkija scored their ninth goal on 87 minutes through a tap-in by Thomas Vella following a low cross by Daniel Bogdanovic.